Hence the distruction of soils is a long-term attack at human prosperity. As part of the 2015 International Year of Soils the FAO has published a series of resources that are well worth the read and contemplation. 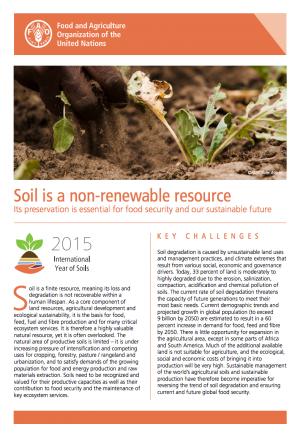 Original article by FAO: Soil is a non-renewable resource | FAO. The following article is from a slightly unusual source – the Institution of Mechanical Engineers in the UK. A slightly technical view, but well worth the read, specially if you are interested in FoodTech. Today, we produce about four billion metric tonnes of food per annum. 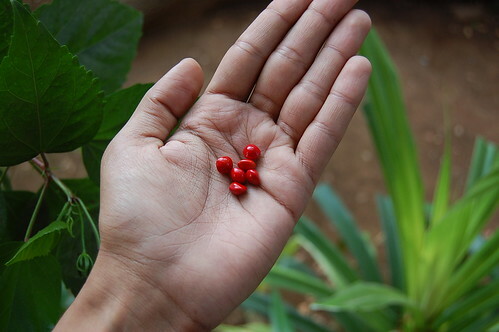 Yet due to poor practices in harvesting, storage and transportation, as well as market and consumer wastage, it is estimated that 30–50% (or 1.2–2 billion tonnes) of all food produced never reaches a human stomach. Furthermore, this figure does not reflect the fact that large amounts of land, energy, fertilisers and water have also been lost in the production of foodstuffs which simply end up as waste. This level of wastage is a tragedy that cannot continue if we are to succeed in the challenge of sustainably meeting our future food demands. The following article is an excellent read by James Bernard Quilligan in Kosmos Journal on the future of water scarcity﻿ and security. Water scarcity is the result of climate change, diminished rainfall, overpopulation, inefficient infrastructure, over-pumping of aquifers, pollution and wasteful agricultural practices. Nearly three billion people around the world are experiencing periodic water shortages. It’s affecting people in southern and northern Africa, the Middle East, the nations of central Asia, China, India, Australia, Mexico and southwestern United States. Every life is sacred from conception to death. Respecting the lives of sentient beings is at the core of human existence. Human dignity is the basis of freedom, justice and social solidarity. But the reality is that very few people receive the respect they deserve. When individuals abuse power and wealth, they create imbalances with others in society. This is how human potential is suppressed and why human rights often do not deal with the fundamental reason for these disparities. All in all this is a highly recommended read for anybody interested in the the politics around water which after all is one of the most crucial elements of food production. No matter where and at which intensity.